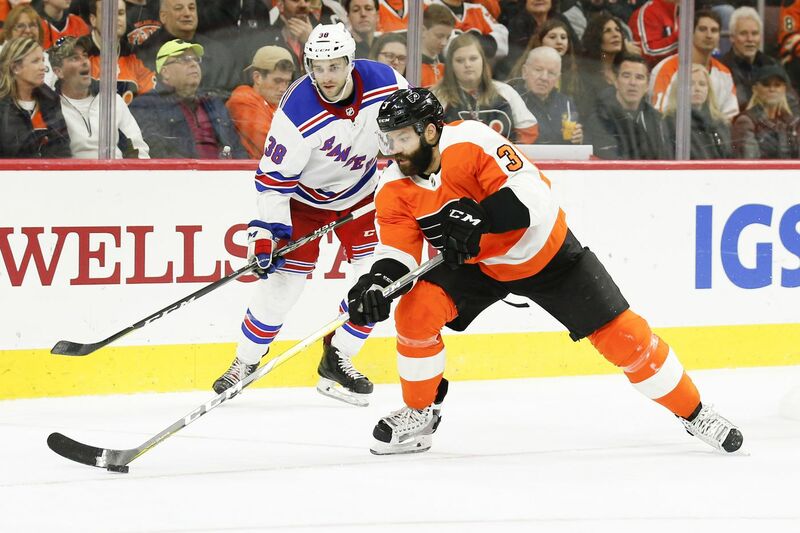 Radko Gudas' grandfather will get to see his grandson play in person when the Flyers open their 2019-20 season in Prague. CHICAGO — Otto Gudas has always wanted to make the trip from the Czech Republic to see his grandson play. But a Doberman always got in the way. That is, the best seat of the 50 the Flyers defenseman will request for a regular season game scheduled to be played against the Blackhawks in Prague on Oct. 4. Thursday’s official announcement of a long-rumored game “lit up” his and teammate Jake Voracek’s cell phones. "And I'm expecting a lot of messages and calls in August and September from people I haven't heard from in five years," said Voracek who, like Gudas, will cap his freebie giveaways at 50. And like Gudas, will be playing in front of friends and family members who have never seen him play a live game in an NHL uniform. Three of his four grandparents have passed away. But he’s hoping his 87-year-old grandmother will be healthy enough to make the trip from his hometown of Kladno, 15 miles northwest of Prague. "She'll be in the stands for sure," he said. Both grandparents are well aware of their grandson's successes in hockey's premier league. Both grandsons spoke emotionally about that support. "He was a soldier," said Gudas. "And then he began breeding dogs for the military. It took up all the free time he had. Nobody could really take care of the dogs the way he really wanted, so … I'm going to bring the NHL to him." The plan is for the Flyers to complete their 2019 training camp in Lausanne, Switzerland and play an exhibition game against Lausanne HC on Sept. 30 before heading to the Czech Republic. Both games will be the first in franchise history, regular season or otherwise, to be played outside of North America. The Blackhawks played two games in Helsinki to start the 2009-10 season, splitting with the Florida Panthers. Before that, Chicago defenseman Duncan Keith recalled Thursday, there was also an exhibition game against a Swiss team — one they lost. "We ended up winning the Cup that year," he said. They beat the Flyers in six games in The Finals. "It was a lot of hockey and a long year," said Keith. "But it was a lot of fun." Keith was also asked about former Blackhawks coach Joel Quenneville, and whether he would be surprised to see him to be behind an NHL bench next season. "I would be probably be a little bit more surprised if I didn't see him coaching," said Keith. "Because I know how much he loves to coach. That competitive nature inside of him. That's what made him a great coach. He's probably going to be wanted." To put it lightly. The Flyers have been mentioned as one of those teams who might want. Said Patrick Kane, "It will be pretty weird if he's coaching somewhere else and not with the Blackhawks. I think we all know that Joel has a big passion for hockey and a real fire and desire to win. So I wouldn't be surprised."